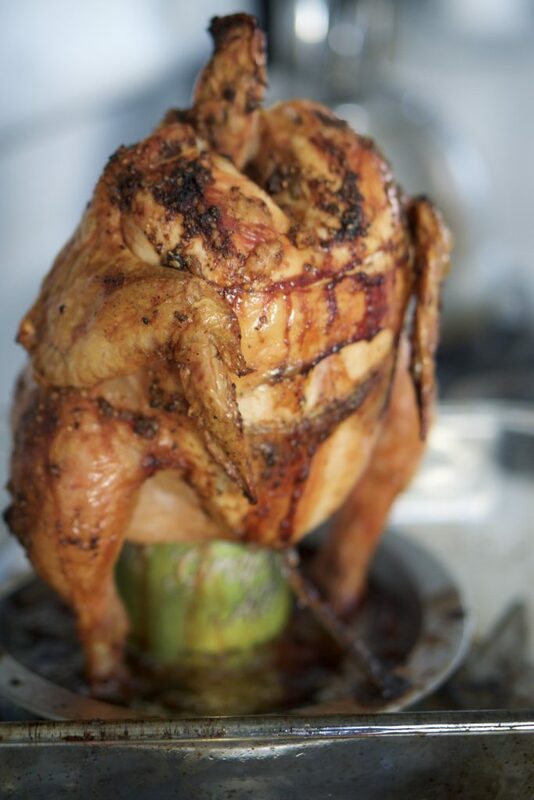 Beer Can Chicken is one of my favourite summer dishes, it is easy, tasty and can feed a group depending on the size of the chicken. It is so effortless to get bold flavours and juicy chicken and all you had to do is prep it and then pop it in the oven. Ideally I like to make it on a BBQ, but unfortunately, our apartment size BBQ cannot fit a chicken standing upright. The oven is just as good, although I know I tend to dread turning on my oven in the summer. The real key to success if the stand that you purchase for your chicken. 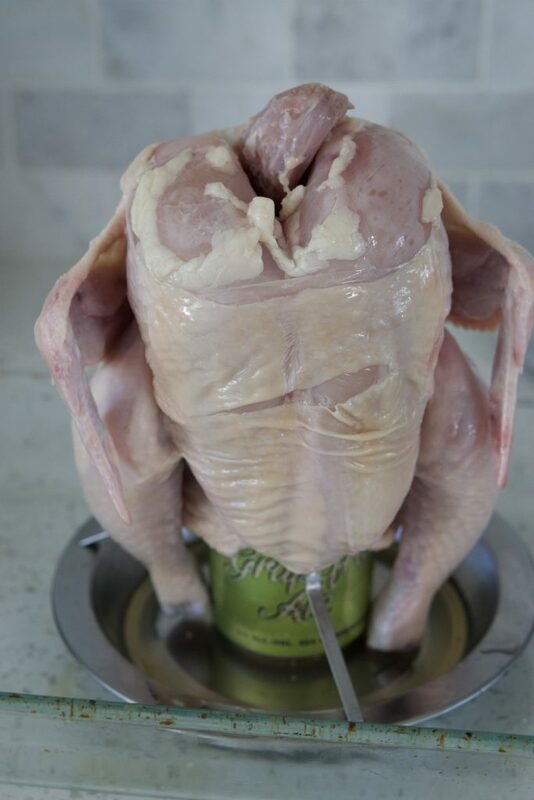 We bought this amazing beer can chicken holder that is able to catch all the juices from the chicken and is perfect for cooking onions or shallots to serve on top. I like to mix up my recipe by playing around with the spices. Sometimes I will use old bay seasoning to give my chicken a cajun kick or I will use lemongrass to give it the chicken an Asian flair. Beer is also a game changer in terms of flavour, although Guinness is one of my favourites (remember to remove the plastic ball before using it), I also like to use a cider or citrus beer for a variance in flavour. I have also put lemon slices or garlic gloves into the beer can which helps intensify the flavours. 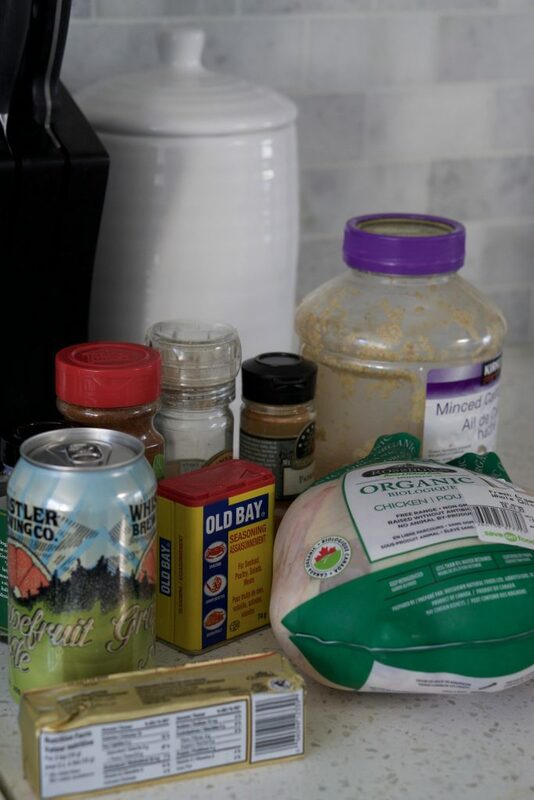 Beer can chicken is the perfect low effort but highly delicious summer meal. Prepare marinade for the chicken. Put softened butter in a dish and add in all your spices and garlic. Cut shallow into slices. Wash chicken and pat dry. Use a can opener to open the beer can, empty so it is half full. Add whatever additional marinades you may what, lemon slices, more garlic or lemongrass. Place can in beer can chicken holder and put chicken on top. Cover chicken in butter mixture. 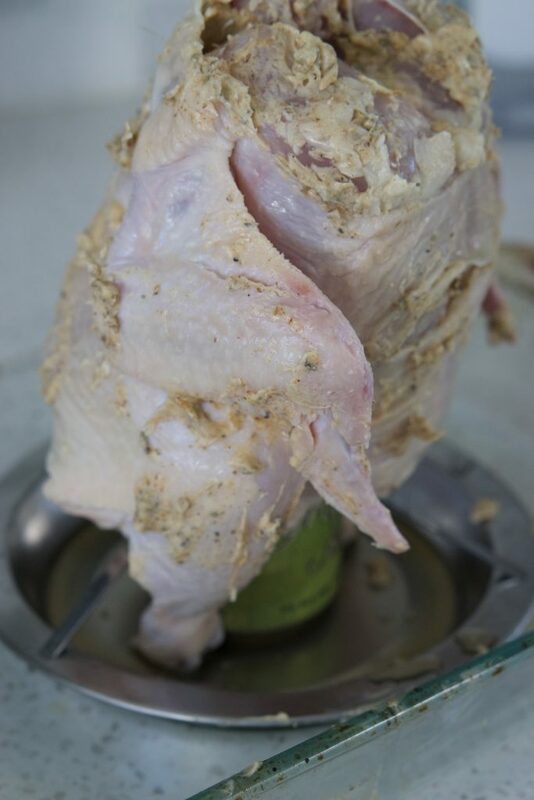 Make sure to get under the skin of the chicken, this will help keep it moist. Place shallots in the dish at the bottom of the beer can holder. Place chicken in the oven at 350 degrees for roughly an hour an a half. Use a meat thermometer to make sure that it is cooked. Remove chicken from oven and let it sit for 5 minutes before cutting and serving it. Cut up and serve! 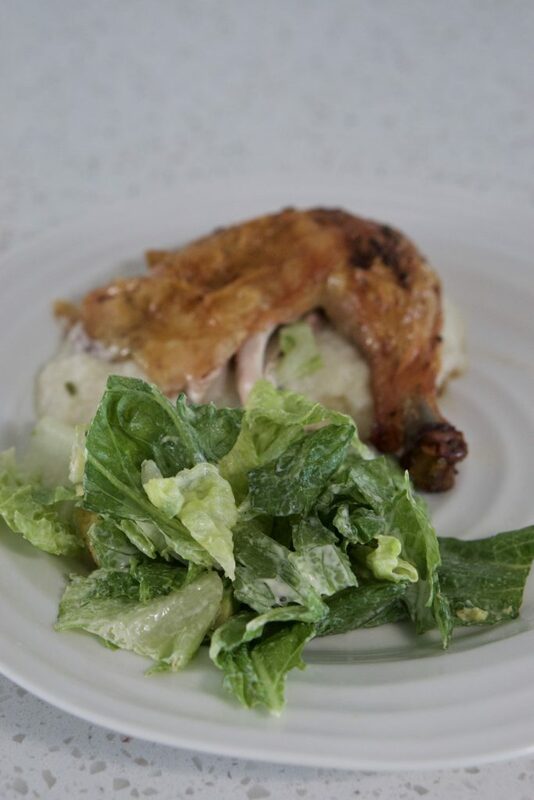 I usually like to serve my beer can chicken with mashed cauliflower or potatoes and caesar salad. I love this recipe. Perfect for a beach vacation. I’ve never tried anything like this before, but I love cooking with spirits as it really enhances the flavors. Thanks for sharing this recipe!